Introducing the world's most comprehensive hop dictionary! Including 265 beer hop varietals from around the world. 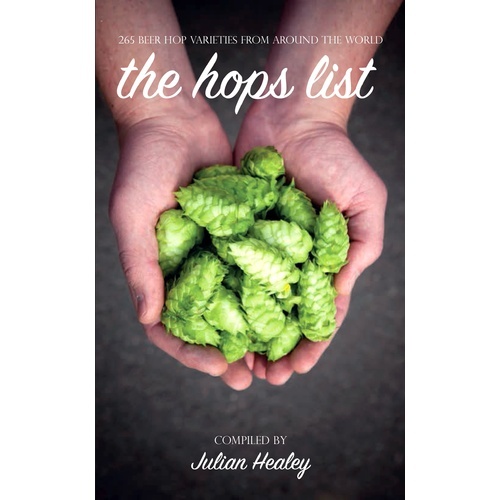 Use this book to learn everything you need to pick the perfect hops for your next recipe. Each hop is very detailed, with tastes, origins, ancestry, substitutes, oil and acid statistics and more. Also included are comments from professional brewers from some of the most respected craft breweries in the world. I picked this because I wanted a comprehensive list of different hops and their qualities all in one place. Great Reviews. I also would love to have a compiled list of hop varieties, their flavors, their substitutions, etc. This seems liek the perfect reference for both home and commercial brewers. This is the best single source for Hop info out there. 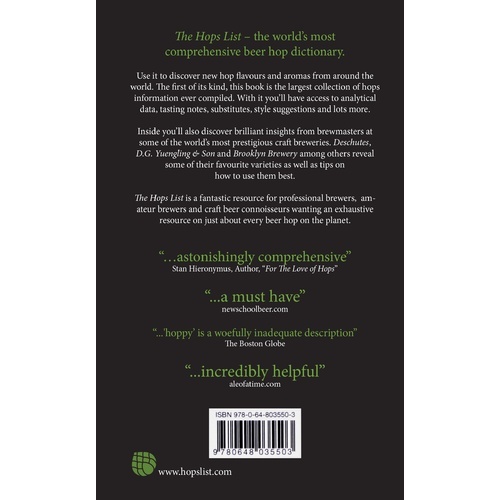 Nice to have hop data in one book. With the plethora of hop available these days its nice to have compendium of all the various styles. It will be very useful for coming up with interesting hop combinations. 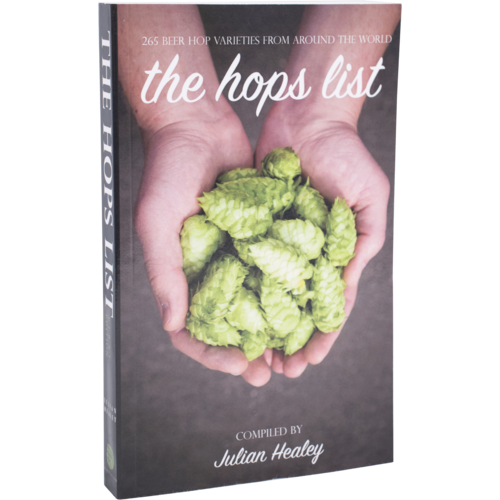 This book contains a huge collection of information on hops themselves. No history, no applications, just the facts please. I still like looking for my information in a book rather than spending too much time net surfing. My go to hop reference book. Love this book. Excellent reference for flavor combinations and descriptions.